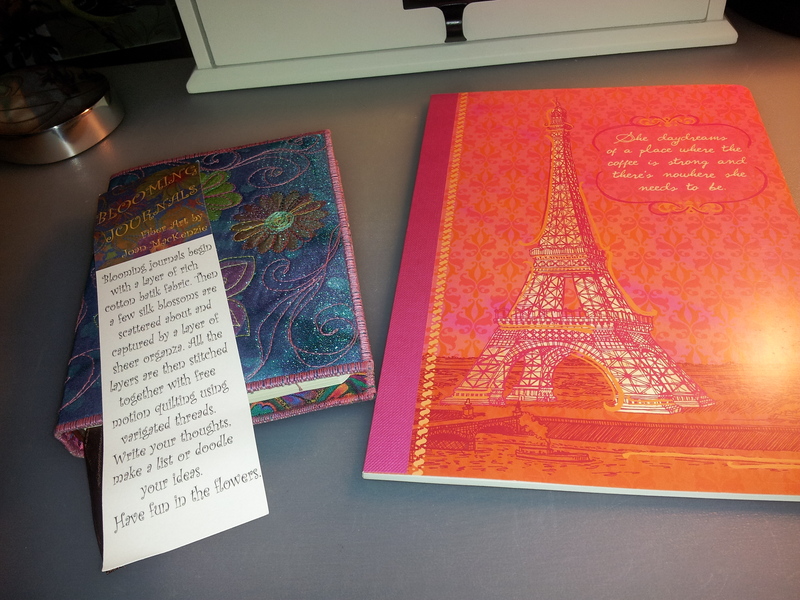 I had a birthday recently and two of my good friends gave me journals (they know me so well!) And I wanted to share them here. The first is a journal published by live-inspired.com. I love these notebooks; I’ve mentioned them before in this post. Look at those colours! 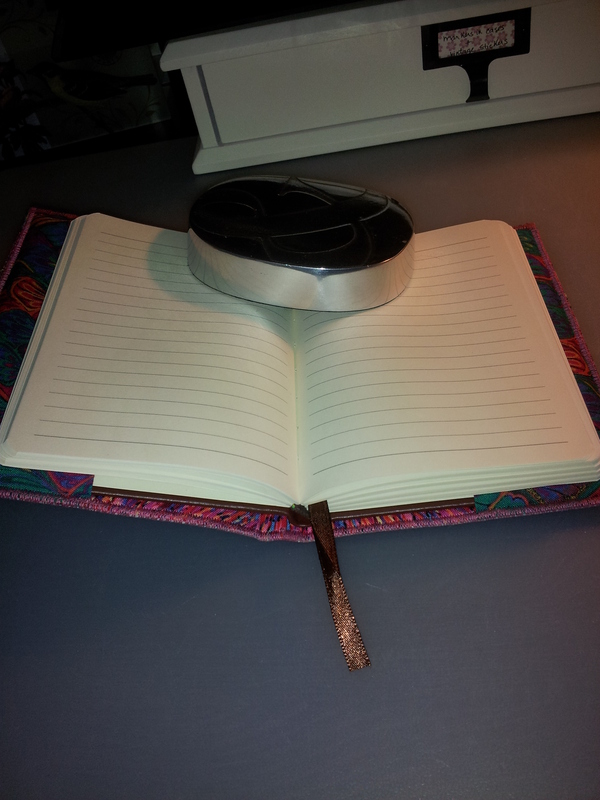 The notebook is 25.5 cm high by 17.5 cm wide (or 10 inches by 7 inches). Great size. And the pages lie flat. The paper is thick and smooth. Love the lines and the occasional tea cup! 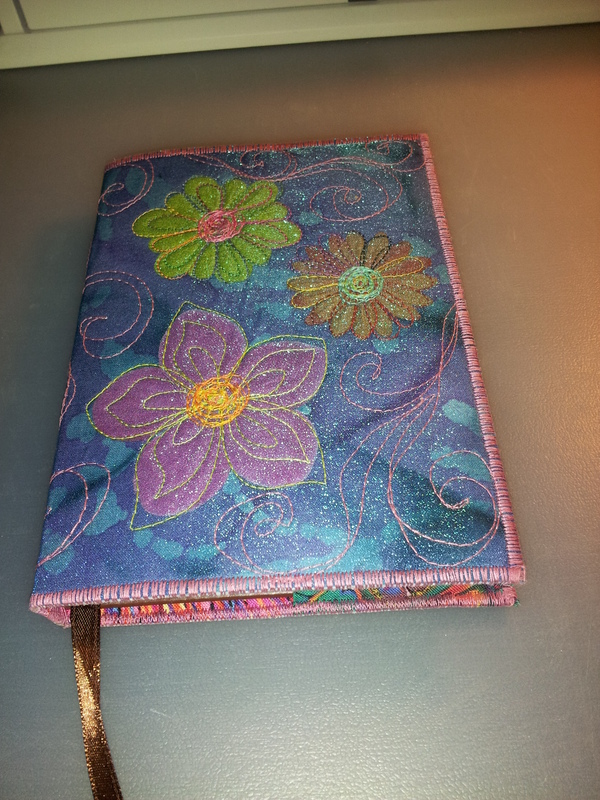 And speaking of beautiful friends, another friend gave me this Blooming Journal, made by independent needle artist Joan Mackenzie from my home town of Sydney, Cape Breton, Nova Scotia. You can access her facebook page here. 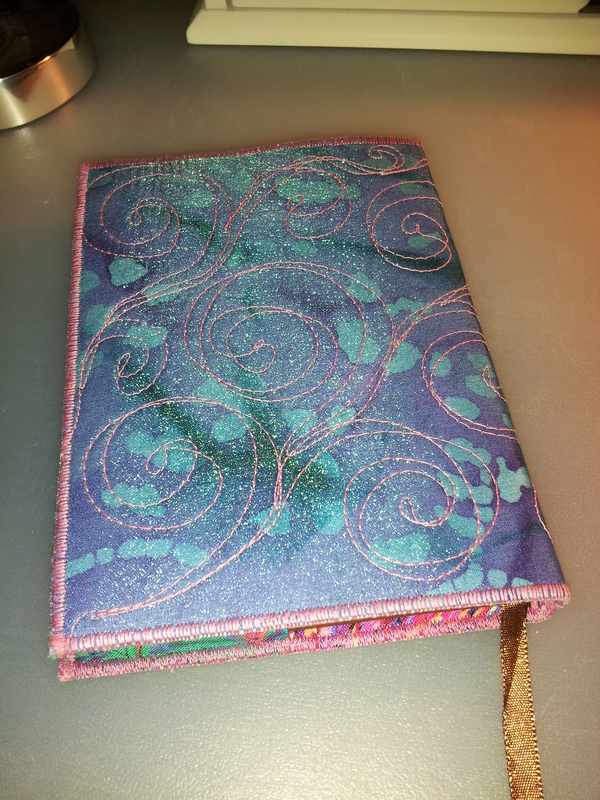 Blooming journals begin with a layer of rich cotton batik fabric. Then a few silk blossoms are scattered about and captured by a layer of sheer organza. All the layers are then stitched together with free motion quilting using variegated threads. 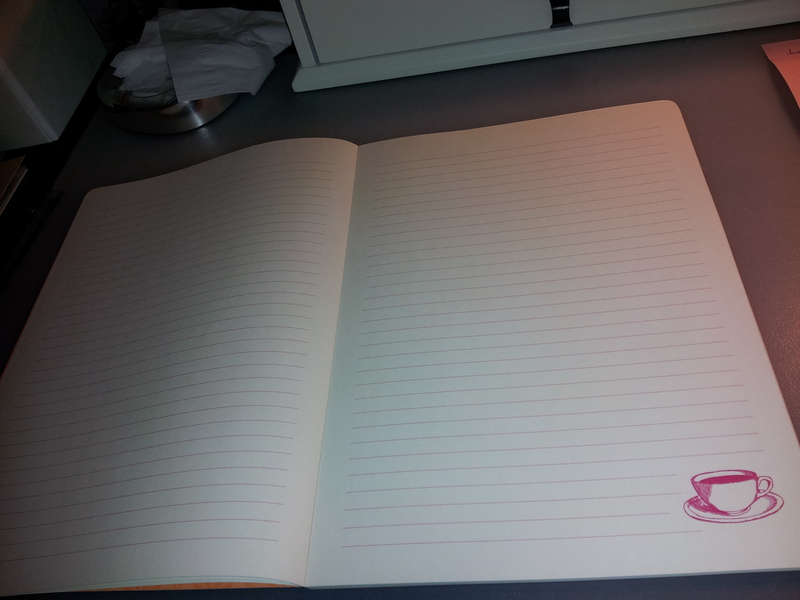 Write your thoughts, make a list or doodle your ideas. Have fun in the flowers. Inside the 16 cm high by 12 cm (6.5 inches by 4.5 inches) wide notebook. 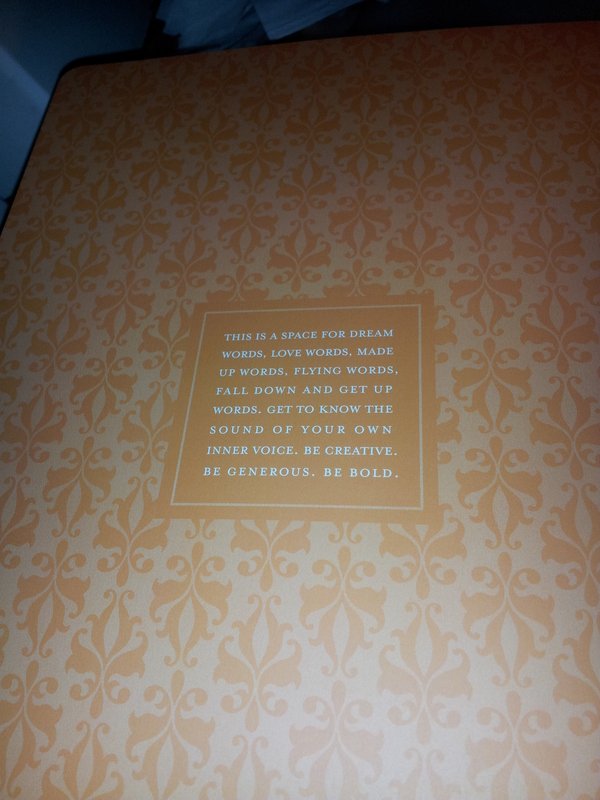 I’m just realizing now I didn’t take a photo of the journal inside the cover. It’s a plain brown hardcover notebook with no markings. Lined pages with a nice bookmark. 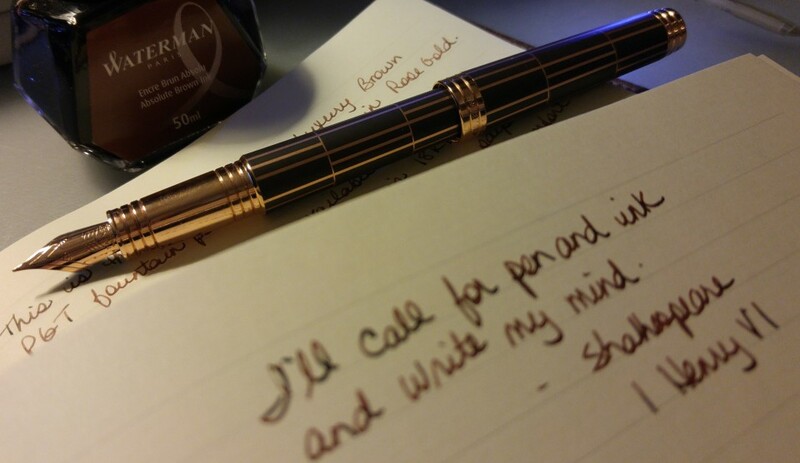 Love the brown ribbon. Paper is nice; feels thick. I did not do an ink test on either of these notebooks. Joan’s logo. Her work is amazing. 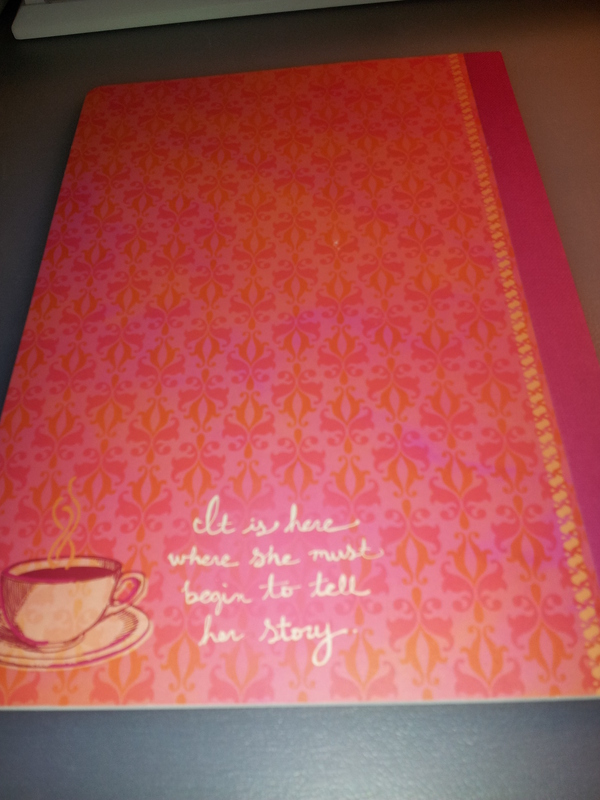 The cover fits the journal perfectly. I’m so glad the pictures picked up the sparkly aspect of the fabric. Must be the organza layer. 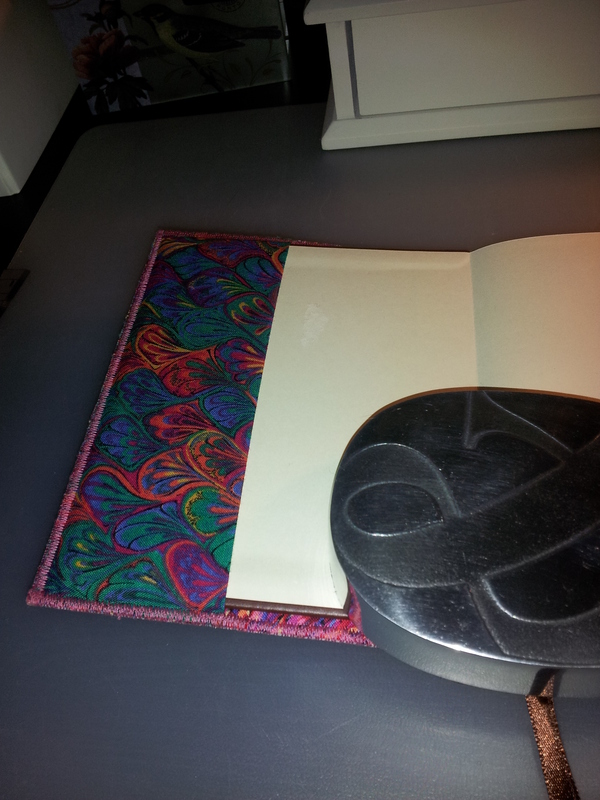 Both notebooks with the bookmark. Thank you so much my friends! Both of them are gorgeous! I really love the hand embroidery…I can’t imagine the time it takes to do something like that. I know, right? It must take ages. But such a beautiful result. 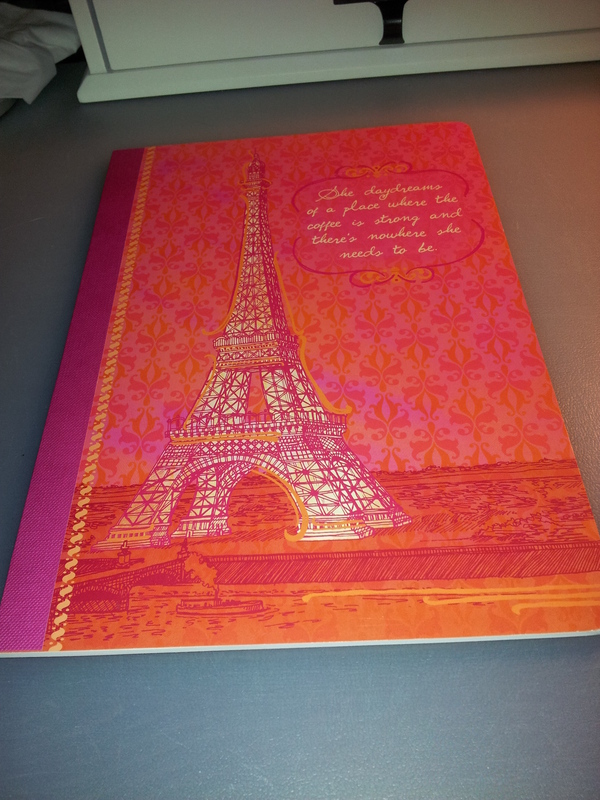 That pink and orange journal is cute! I just stumbled on your blog by googling “my journal collection.” You have quite a variety of journals.